At the holiday season many of us choose to visit family and friends. For many this is a time of joy, when we reconnect with our families and remember why we are alive. For others it is a time of dread when long-standing tensions and difficulties with our relationships are brought to the surface, usually accompanied by alcohol fuelled dys-control. Quite often we may say things that we did not mean and end up exacerbating the situation, and worsening our relationships, and making ourselves unhappy with a further burden of ill will to carry into the new year. This is a great shame. We might get a lot of likes and friends on social media, but really are these people we could call at 3:00am in an emergency? Humans are by our very nature a social species. To a great extent it is our relationships that define us. In the era of social media we make the mistake of assuming that it is the quantity of our relationships that counts and not their quality. We need relationships in order to live. Isolated or lonely people who are not well embedded into their social environments have worse health than those who are well-connected, and are twice as likely to die young. Lack of social support leads to a chronic stress response with all the health consequences that follow upon a chronic inflammatory condition. This has added its own contribution to the rising tide of chronic illnesses, such as type 2 diabetes, depression, heart disease and general ill-health. Social isolation is as harmful to our health as smoking a pack of cigarettes a day, and about twice as damaging to our health and well-being as obesity. As a social species humans are programmed to have relationships with others, and for most of our evolution have generally lived in groups of 30 to 40 individuals This is still the case among those hunter gatherer peoples who have survived, with their lifestyles relatively intact, into the twenty-first century. These are groups of people who are rarely alone throughout the day, and show a level of depression, despite their tough existences, that is barely 1% of that found in the modern world. One aspect of being a social animal is that when we are alone we feel unsafe, we believe that we are in danger. When predators come it is usual for groups to scatter and hide, if we cannot see others around us, our survival systems assume that they are still in hiding, and so we feel that the threat is still present. This further elevates our sense of threat, and we can come to isolate ourselves further in search of safety. When we are in danger strangers can be seen as threatening, and so we withdraw even further. This leads to an exacerbation in our sense of isolation, fuelling a vicious cycle of despair. In the ultra connected internet age, this social isolation is becoming an increasingly important health problem, and it is arousing anxiety, and action in several governments. What is needed is live, face to face contact with others in our community. Recent research on social media use has demonstrated that there is an inverse relationship between the amount of time spent online and our happiness during the rest of the day. The quality of relationships is much more important than their quantity. It is close, supportive relationships with people that we care about, and who care about us, that make the difference. It can be seen that the quality of our personal relationships, and our sense of belonging, and connection to our wider community, contribute to both our physical and mental health. Strong social connections even create a healthier environment for everyone in the area. There is one odd bit of research in the happiness literature that shows, when a buddhist centre opens in an area, that the level of happiness measured in the general population of that area increases, whether or not they attend the centre. Make of that what you will. At Christmas there seem to be a lot of lonely and isolated people. This can be because of ill-health, old age, mental health, or other problems. Many might belong to minority communities who have only a slight connection to their locale. Making connections with others in our community is important, not only for our wellbeing but also for those we connect to. Involving older people in our communities not only might prolong their healthy life, but also can add value to our lives and those of our children. We not only need to make these connections for ourselves but should help others to make such connections when they are unable to do so for themselves. Communities bolster the self-esteem and self-worth of all the individuals who are part of them. They help us to cope in times of stress, and allow our distress to be better managed by being able to ask for help, and to share the burdens that we carry. I was recently greeted in the street by one of my neighbours. She was very effusive in her thanks to me for organising a neighbourhood barbecue in our local park. This was the second of these events we have held, and it went on late into the night despite the local mosquitoes deciding to join in. In fact it was my next door neighbour who has arranged these events (no amount of explaining could make my other neighbour believe it was not me! I just enjoyed the reflected glory) One of the main benefits of these parties, has been a much closer sense of community in a disparate group of people who live on either side of a reasonably busy road. We are seen to smile at each other much more regularly, and to say hello. It always gets my day off to a good start, and like many other people, when this happens, I tend to pay it forward to others that I meet, as the day progresses. We are “hard-wired” for relationships. Having strong relationships tends to make us happier, and being happy tends to mean we have stronger relationships. This is clearly something that has contributed to our survival and success as a species. This desire to be connected to other people is a fundamental human need, and a combination of close relationships with wider social connections in our environment is what seems to make us happiest and healthiest. They influence how safe and secure we feel. Being kind is good for us as well and gratitude has a similar effect on our health and well-being. We can build happier communities by dong all that we can to increase our own personal sense of wellbeing, and by remaining aware of the impact that the things we do might have on other people. 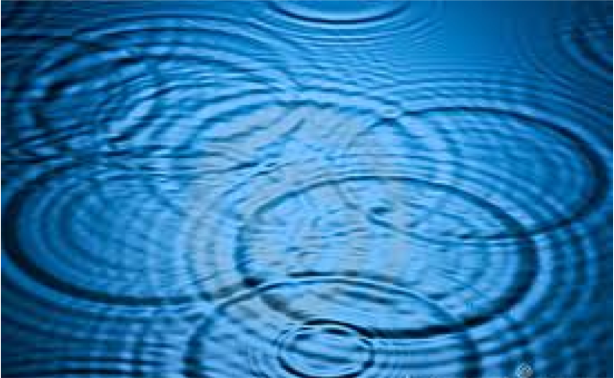 Like waves created when we throw a pebble into a pond, happiness spreads out through communities. So, reach out into your own community and make a start. Connect to those who are struggling or isolated for whatever reason. It does not have to be dramatic. A smile, a “good morning”, or some other greeting is all that it takes. Make a start on a better world. Categories: Living happy, Positive psychology, prevention, Well being | Tags: community, connection, contact at Christams, happiness, isolation, lonliness | Permalink.